April 8, 2019 – DCRI researchers found that heart failure patients are much more likely to take a guideline-recommended medication if they are started on the drug while still in the hospital. Heart failure patients who could possibly benefit from a newer class of drug to lower their heart rate were more likely to take the medication if it was prescribed before hospital discharge rather than in a follow-up doctor’s visit, according to preliminary research presented at the American Heart Association’s Quality of Care and Outcomes Research Scientific Sessions in Arlington, Virginia. 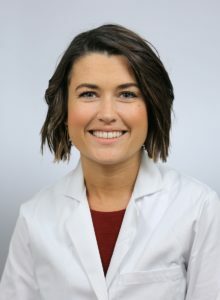 “The hospitalization rate in heart failure patients is quite high despite a number of good therapies, yet we have ivabradine, a relatively new therapy that can reduce hospitalization, and we still aren’t using it to the extent possible,” said the DCRI’s Robert Mentz, MD, lead author of the study (pictured). When people have heart failure and less than 35 percent of the blood in the heart is pumped out with each contraction (a reduced ejection fraction), having a lower heart rate (less than 70 beats per minute) is associated with better outcomes. Current standard care for heart failure with reduced ejection fraction is to use beta-blocker medications in most patients. Beta-blockers can lower heart rate and have many other beneficial effects that improve outcomes for patients with reduction ejection fraction. Research has shown that adding ivabradine, which works in a different way to lower heart rate, may also be helpful in those patients who have a faster heart rate despite being on the highest dose of beta-blockers they can tolerate. In 2016, the American Heart Association and the American College of Cardiology issued a focused update to heart failure guidelines to reflect newer medication options, including ivabradine, more recently proven successful in helping improve outcomes for heart failure patients, including reduced re-hospitalization. The current study, called PRIME-HF, evaluated 104 patients (average age 57.5 years, 36 percent women, 64 percent African American) who had been hospitalized at one of 23 U.S. hospitals with worsening heart failure and were appropriate candidates to receive ivabradine. In the randomized, open-label study, researchers compared rates of medication use six months later between those whose hospital physicians were asked to initiate ivabradine prior to discharge and those whose physicians were instructed to provide usual care with consideration of starting the medication during follow-up visits. Did not develop abnormally low blood pressure or heart rate. Patients in both groups encountered barriers to obtaining ivabradine, with 30.6 percent having trouble getting their initial prescription and 58.1 percent having trouble getting ivabradine at some point during the six-month study. Frequent barriers were high price, insurers declining to pay, and physicians deciding to stop the drug. Because of slow recruitment, the study was terminated early, so the sample is too small to assess outcomes such as survival and re-hospitalization. In addition to Mentz, the study’s authors include Adam D. DeVore, MD; Gudaye Tasissa, PhD; John F. Heitner, MD; Ileana L. Pina, MD; Anuradha Lala, MD; Robert T. Cole, MD; David D. Lanfear, MD; Chetan B. Patel, MD; Mahazarin Ginwalla, MD; Wayne Old, MD; Abraham S. Salacata, MD; Robert Bigelow, PhD; Tim T. Peterson, BS; Gregg C. Fonarow, MD; and Adrian F. Hernandez, MD. Author disclosures are on the abstract. Amgen funded this investigator-initiated study. April 4, 2019 – The findings could inform a CMS decision on volume as a criterion for Medicare coverage. Hospitals that perform the highest volume of transcatheter-aortic valve replacement (TAVR) procedures have significantly lower mortality rates than centers that do fewer of the minimally invasive surgeries, according to an analysis by a collaboration that included the DCRI. 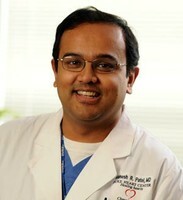 “What we found is that there is still a very real relationship with annual volume and 30-day mortality at the hospital level, even taking into account the new devices and the learning curve that new centers face in the first 12 months of initiating a program,” said lead author and DCRI cardiologist Sreekanth Vemulapalli, MD (pictured). Vemulapalli and colleagues launched their analysis last summer after CMS announced it would reevaluate coverage criteria. Using a database called the Transcatheter Valve Registry — which includes all of the commercial procedures in the United States, including those covered by Medicare — the researchers focused on volumes and outcomes from 2015–2017. “This was the most comprehensive analysis of the outcomes of more than 100,000 people recently receiving TAVR in the U.S.,” said John Carroll, MD, professor of medicine at the University of Colorado School of Medicine and director of Interventional Cardiology at the UCHealth University of Colorado Hospital. March 27, 2019 – Despite national guidelines indicating that statins can lower risk of heart attack and stroke, many patients who could benefit do not take them. Despite national guidelines indicating that statins can lower risk of heart attack and stroke, many patients who could benefit do not take them. More than half of eligible patients say they were never offered the cholesterol-lowering drugs; the experience of side effects or fear of side effects were reasons for stopping or refusing statins, according to new research by Duke and DCRI researchers in Journal of the American Heart Association. “We need to focus our efforts on improving how doctors identify patients who need to be on a statin, and how they present information to patients to ensure that no one is missing the opportunity to improve their heart health,” said Corey Bradley, MD, lead author of the study (pictured left). In addition to Bradley and Navar, the study’s authors included Tracy Y. Wang, MD, MHS, MSc; Shuang Li, MS; Jennifer G. Robinson, MD, MPH; Veronique L. Roger, MD; Anne C. Goldberg, MD; Salim S. Virani, MD; Michael J. Louis, MD, MPH, MSc; L. Veronica Lee, MD; and Eric D. Peterson, MD, MPH. March 21, 2019 -Dropout rates for the program remain relatively low among ACOs, researchers found. While most Accountable Care Organizations (ACOs) have committed to continue participating in the recently overhauled flagship Medicare Shared Savings Program (MSSP), physician-led ACOS are leaving at a higher rate than in 2017, new research from the Duke-Margolis Center for Health Policy and Leavitt Partners shows. Highlights of this research were published this month in Health Affairs. 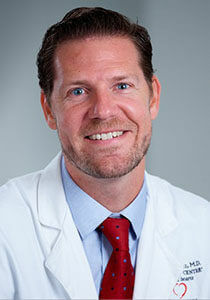 The DCRI’s Donald Taylor, PhD, is one of the study’s authors. The most recent tracking showed that more than 1,000 public and private ACOs provide health care coverage to approximately 33 million Americans. In 2018, more than half of these ACOs participated in the Centers for Medicare & Medicaid Services (CMS) MSSP program. Late last year however, CMS released its Pathways to Success rule, overhauling MSSP, its largest ACO program. The new 2019 MSSP participant list showed that 74 ACOs dropped out of MSSP at the end of 2018, representing 13 percent of participating ACOs. Hospital-led ACOs, which tend to be large, as well as large ACOs of any type, had lower dropout rates at the end of 2018. This early look at new dropouts from the MSSP program suggest the rule is not driving large ACOs out of the program, but rather that they are willing to accept increasing risk for the cost of the care they provide, also known as downside risk. Overall, the ACO dropout rate increased modestly at the end of 2018, in contrast to the two previous years when it decreased. As part of its overhaul of MSSP, CMS assigned different downside risk requirements for high-revenue and low-revenue ACOs to reflect their different capacity to bear risk, and to encourage more small and physician-led ACOs to participate in the program. So far, revenue status does not appear to be consistently correlated with ACO dropout rates, and is not highly correlated with ACO size or physician ownership. Physician-led ACOs, which tend to be smaller, had higher dropout rates than hospital-led ACOs, despite new policies to support low-revenue ACO. Small physician-led ACOs had the highest dropout rate at the end of 2018, so how well “low revenue” status supports these particular types of ACOs bears close watching. March 18, 2019 – When comparing ischemic endpoints, no significant difference was found between patients who received ticagrelor and patients who received clopidogrel. According to results presented as a late-breaking clinical trial in New Orleans at the 2019 American College of Cardiology’s Scientific Sessions and published in the Journal of the American College of Cardiology, ticagrelor is as safe as clopidogrel when administered to patients with ST-elevation myocardial infarction (STEMI) who were treated with thrombolysis. The TicagRElor in pAtients with ST-elevation myocardial infarction treated with pharmacological Thrombolysis (TREAT) trial was led by Otavio Berwanger, MD, PhD, chair of the TREAT Trial Steering Committee. Previous literature had shown that ticagrelor is superior to clopidogrel in both patients with STEMI and non-ST-elevation myocardial infarction, but patients who were treated with thrombolysis were excluded from previous trials. Because thrombolysis is associated with greater bleeding risk, there had been concern about using the more potent option, said the DCRI’s Renato D. Lopes, MD, MHS, PhD, who served on the steering committee and as the clinical events classification (CEC) chair for the trial. ﻿ TREAT enrolled 3,799 patients younger than 75 in 10 countries and randomized participants to one of two treatment arms: ticagrelor or clopidogrel. The initial results, which were published in JAMA Cardiology last year, showed no significant difference in major bleeding between the treatment groups after 30 days. Composite outcome of death from vascular causes, MI, stroke, severe recurrent ischemia, transient ischemic attack, or other arterial thrombotic events: 8.0 percent of ticagrelor patients, as compared to 9.1 percent of patients on clopidogrel. These results confirm, 12 months after treatment, ticagrelor’s safety as compared to clopidogrel in patients who received thrombolysis. This trial represents the largest trial of ticagrelor in STEMI patients treated with thrombolysis. This was an investigator-initiated trial funded by AstraZeneca. March 17, 2019 – Although nearly two-thirds of the study population did not receive all the guideline-directed medical therapies for which they were eligible, use of all therapies was linked to better outcomes in specific populations, such as patients with heart failure. Most atrial fibrillation patients with comorbidities do not receive all the guideline-directed medical therapies (GDMT) they are eligible for, but new evidence from the DCRI suggests use of these therapies is associated with better outcomes in populations with certain comorbidities. 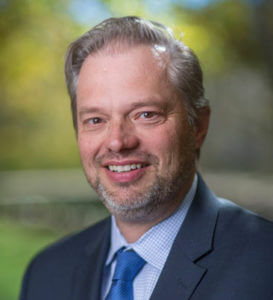 A study led by DCRI Fellow Zak Loring, MD, examined GDMT use for a range of conditions that are often seen in conjunction with atrial fibrillation, including coronary artery disease, diabetes, congestive heart failure, hyperlipidemia, hypertension, peripheral vascular disease, and obstructive sleep apnea. The findings were presented Sunday at the annual Scientific Sessions of American College of Cardiology in New Orleans. After examining a population of 20,434 patients from the Outcomes for Better Informed Treatment of AF (ORBIT-AF) registry, the study team found that only about 33 percent of patients receive all the therapies for which they are eligible. ﻿ GDMT use varied widely by comorbidity type. Hyperlipidemia had a high GDMT ratio, with 75.6 percent of patients on a statin, while only 43.1 percent diabetes patients were treated with all therapies for which they were eligible. The team was also interested in how patient outcomes were associated with both overall GDMT use and comorbidity-specific GDMT use. While the researchers did see a downward trend in all-cause mortality and major adverse cardiac or neurological events associated with GDMT use, the difference between patients who received all the therapies for which they were eligible and patients who did not was not statistically significant. However, significant trends did emerge in specific comorbidity types. In patients with congestive heart failure, patients who used all the GDMT they were eligible for saw a 23 percent decrease in all-cause mortality compared to patients who received only some or no GDMT. Not only can treatments for atrial fibrillation have an effect on comorbidities, but the team’s findings show that treatments for comorbidities can also affect the severity of atrial fibrillation. Use of continuous positive airway pressure to treat sleep apnea was associated in a reduction in the progression of atrial fibrillation. “The associations our team found suggest that if you can get a patient on all the GDMT for which they are eligible, they are likely to experience a better outcome,” Loring said. 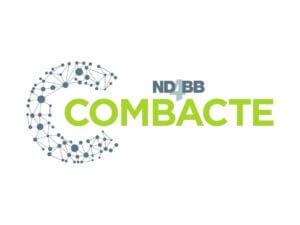 Other DCRI contributors to this project include Peter Shrader, MA; Rosalia Blanco, MS; Karen Pieper, MS; Eric Peterson, MD; and Jonathan Piccini, MD, MHS. March 17, 2019 – Patients with negative FFR-CT scans had a low, one-year risk of a heart attack or death. One-year follow-up results show that a newer, non-invasive technology to evaluate heart pain provided a reliable way to identify which patients had dangerous artery blockages, according to a study co-led by the DCRI. The findings, reported Sunday at the annual College of Cardiology meeting in New Orleans, suggest that fractional flow reserve CT (FFR-CT) scans are effective in helping doctors determine which patients need more aggressive treatments. 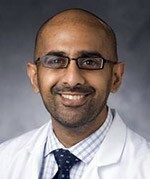 “Our study shows that in clinical practice, when new technology provides a negative result regarding the chance for a physiologically significant stenosis, the patient and physician should be reassured that the chances of major adverse cardiac events are low,” said lead author Manesh Patel, MD, chief of the Division of Cardiology at Duke University School of Medicine.